Mix all the above mentioned ingredients in a bowl and knead it gently to make a soft dough. Cover the bowl with a lid and set aside for 7-10 minutes. (Initially the mix would appear sticky, but setting it aside would help the semolina and coconut to absorb all extra moisture and bind the ingredients well). 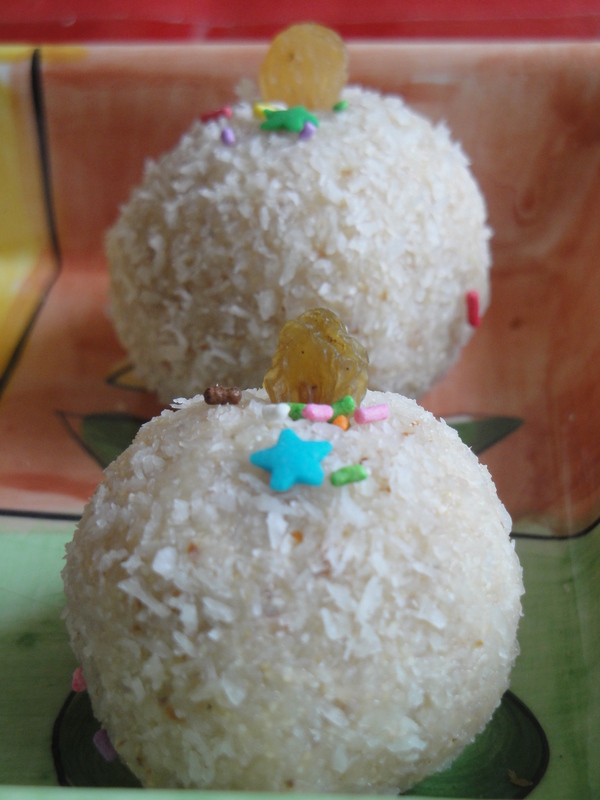 Now form approx 10-12 medium size balls (ladoos). 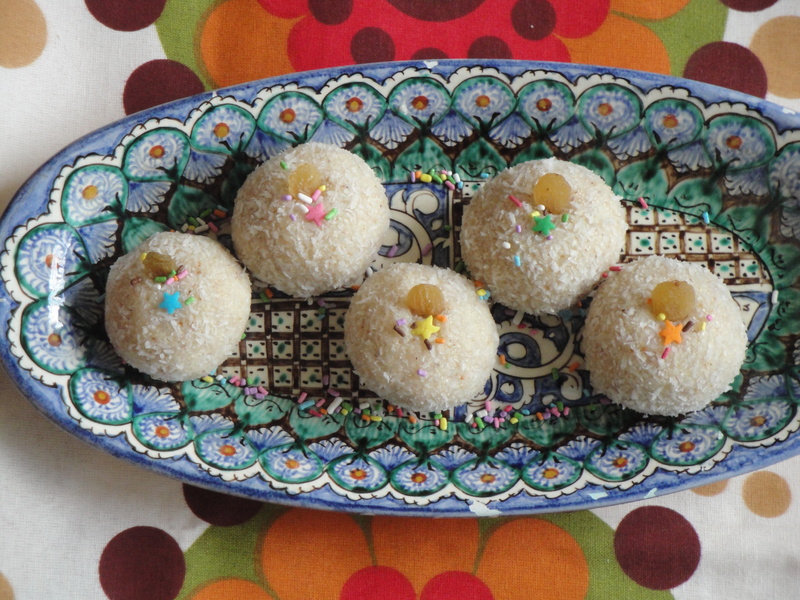 Roll the prepared ladoos in the desiccated coconut. Garnish with raisins and sprinkles as shown in the picture and serve. this looks yummy and so easy to make! Thanks! 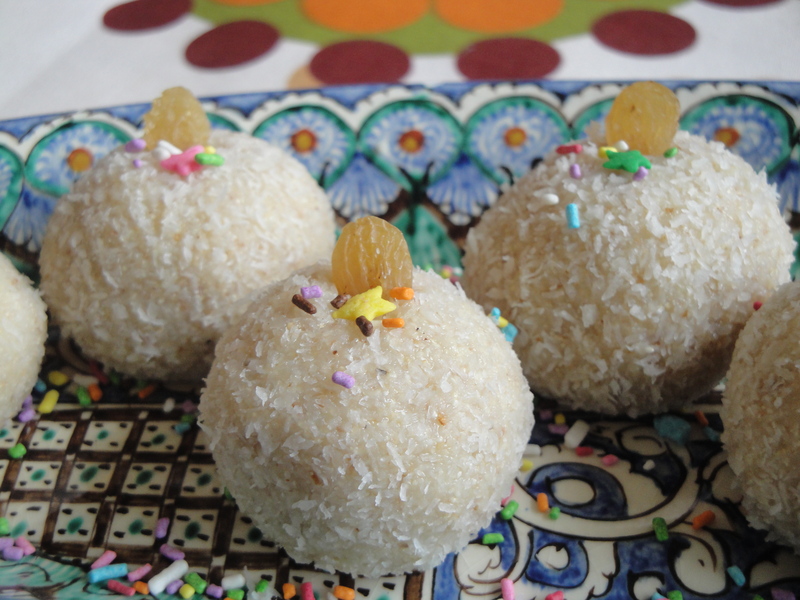 Yes indeed its a simple yet delicious recipe and my kids love it!